Let us send you a copy of the 2019 Bardac Drives Calendar! 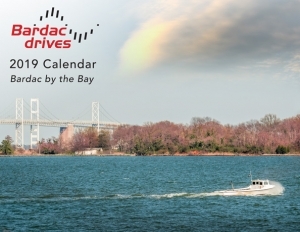 The 2019 Bardac Drives Calendar is now available for mailing and download. This year’s theme is “Bardac by the Bay” and focuses on Maryland’s Chesapeake Bay. If you would like us to send you a physical copy, please complete the form below. To download the calendar, click the button on the right. Download the 2019 Bardac Drives Calendar! If you have issues with the above Google CAPTCHA, please call us at (410) 604-3400 to request your calendar. Please note: We have a limited quantity of Bardac calendars available and requests will be handled on a “first come, first served” basis. Completing this form does not guarantee you will receive a copy, and the number of calendars requested may not be met. For further assistance, please call us at the number above, or email info@bardac.com. Thanks!